Cruft's is the world's largest dog show held by the Kennel Club every year. 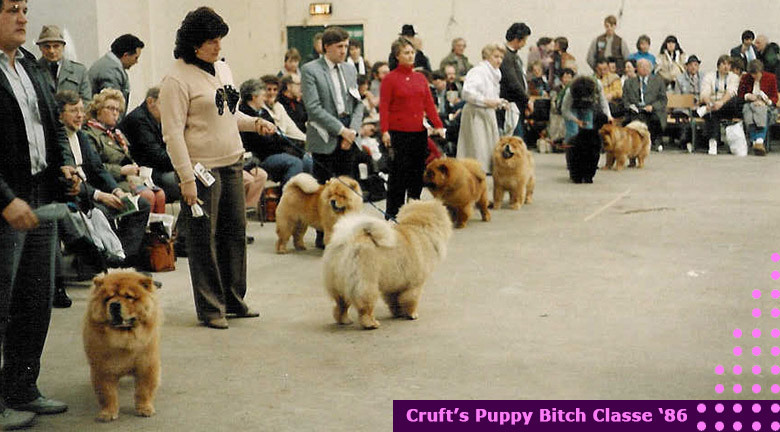 To be entered and exhibited at Cruft's a Chow as any other Breed must be qualified. 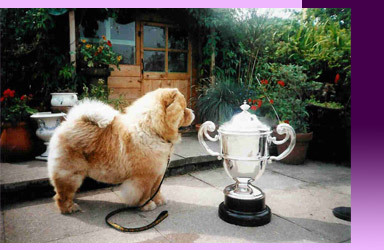 To qualify for Cruft's a Chow Chow has to be entered in the KC Stud Book or win 1st, 2nd or 3rd at a Championship Show with Challenge Certificates, in one of the following classes - Minor Puppy, Puppy, Junior, Post Graduate, Limit or Open. Crufts is named after its founder Charles Cruft. The young Charles leaving college in 1876 had no desire to join the family jewellery business. Instead he took employment with James Spratt who had set up a new venture in Holborn, London selling "dog cakes". Charles Cruft was ambitious and a relatively short apprenticeship as an office boy led to promotion to travelling salesman. This brought him into contact with large estates and sporting kennels. His next career move with Spratts saw him travelling to Europe and here in 1878 French dog breeders, perhaps seeing entrepreneurial talents in Cruft, invited him to organise the promotion of the canine section of the Paris Exhibition. He was still just two years out of college. Back in England in 1886 he took up the management of the Allied Terrier Club Show at the Royal Aquarium, Westminster. The first Crufts show in that name was booked into the Royal Agricultural Hall, Islington in 1891. This was the first in a long series of shows there. During this era it was possible for individuals to run shows for personal profit, an aspect that appealed mightily to Charles Cruft, and he ran his shows with considerable profit to himself. Today there are no privately owned dog shows and permission to hold shows is granted by the Kennel Club which licenses only non-commercial organisations. In 1938 Charles Cruft died and his widow ran the 1939 show. Three years later Mrs Cruft felt the responsibility for running the show too demanding and, in order to perpetuate the name of the show her husband had made world famous, she asked the Kennel Club to take it over and it was sold to them; 1948 was the first show under the Kennel Club auspices. Held at Olympia, it proved an immediate success with both exhibitors and the public. Since then Crufts has increased in stature year by year.